When it comes to putting a fence on your property, you have a variety of choices, but many people feel that wrought iron fences are the most attractive way to go. Since 1968, America Fence Company has been working with home and business owners to provide the top of the line when it comes to fencing. We work with all our clients to determine exactly what kind of fence best meets his or her needs, and when it comes to fence installation, we delivery excellence every time. It’s just a fact that a fence can offer a sense of privacy as well as increases the security of your home. Wrought iron fencing also provides beauty and durability that other fence materials can’t offer. Plus, a fence can not only protect your home from certain liabilities, but it can increase the overall value of your home. 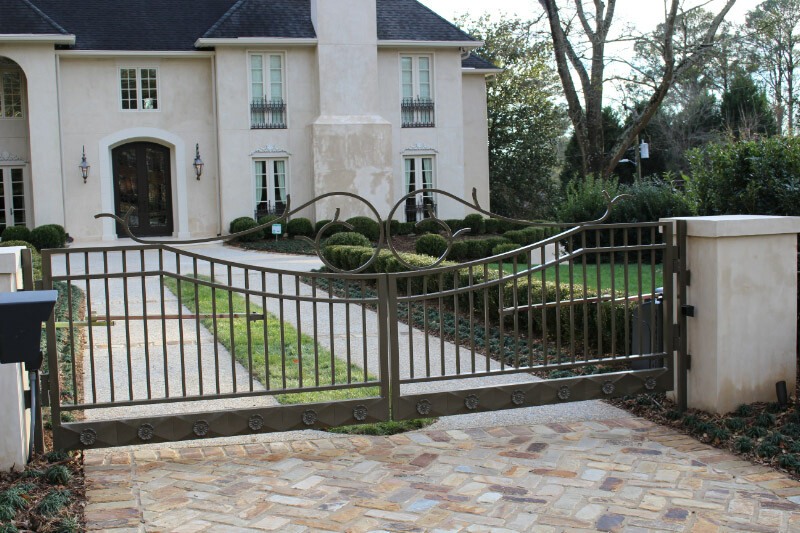 Not only are we Atlanta’s oldest and most respected fence company, but we also provide estate gates and openers of all kinds as well. We offer custom built gates with over 100 colors available. When it comes to gate openers, we have the standard electric operators as well as solar gate operators. Based on your needs, we can give you slide gates or swing gates. Everything we do is based upon customizing for your specific needs. Why Get Wrought Iron Fences From America Fence? 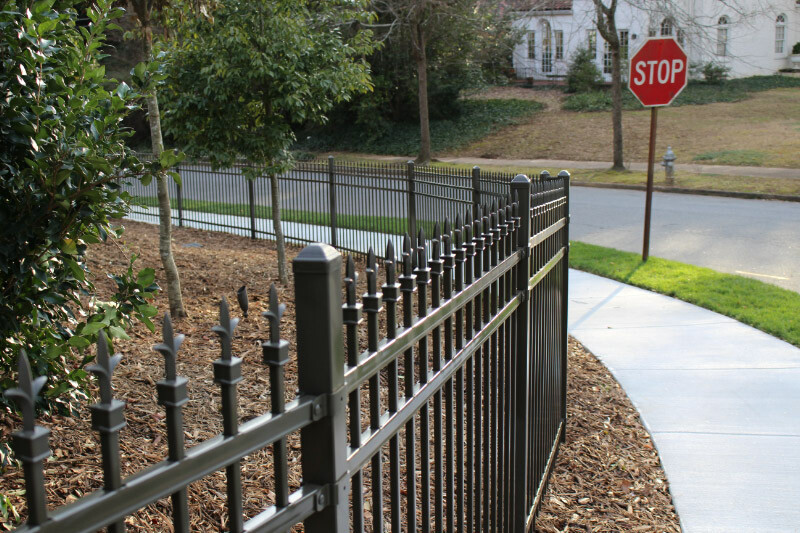 You may not know this, but wrought iron fences are created by galvanizing steel or aluminum. This process is used to strengthen the metal as well as to make the fence look truly beautiful. Typically, the galvanized steel is coated with zinc to protect the fence from rust and decay. This ensures that the fence you put on your property remains the highest quality available. 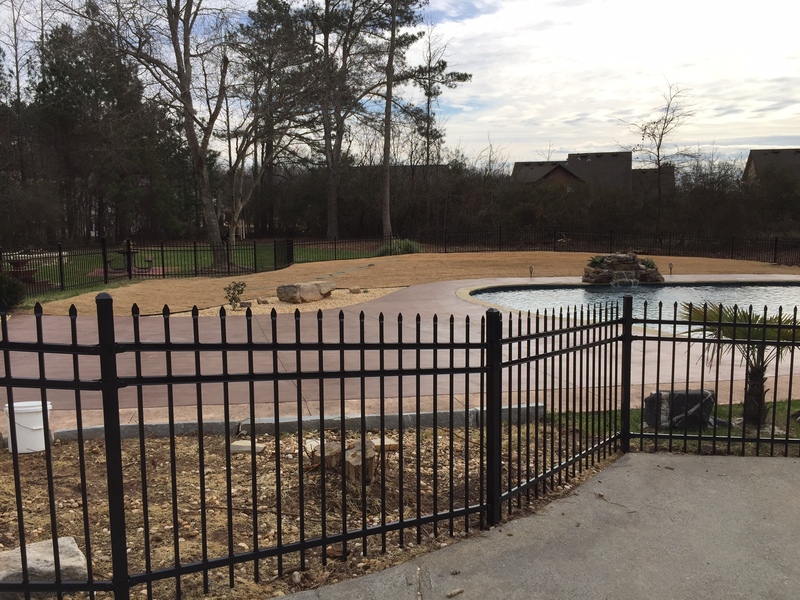 When it comes to installing wrought iron fences on your property, call the professionals with the best reputation in Atlanta. Call us today to speak to one of our knowledgeable staff members about your fencing options today.